Technique avoiding ripple marks on the beach, enabling stabilization and raising the beach profile. The beach is the natural protection of the littoral. It absorbs the power of the waves; it is a buffer zone. In order to assumes its role of protection, the beach requires a sufficient volume of sand and Ša sufficient profile. 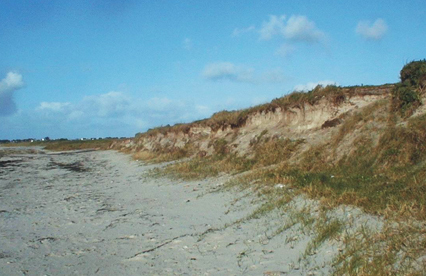 If the beach is in shortage of sandŠ, it will take the needed volume in the duneŠ. We then speak about erosion. 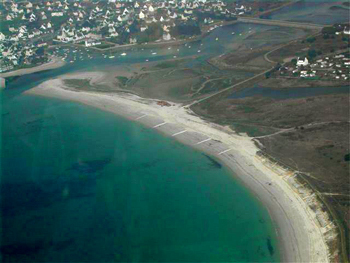 The objective of Espace Pur company is to assist the beach to be reshaped naturally. 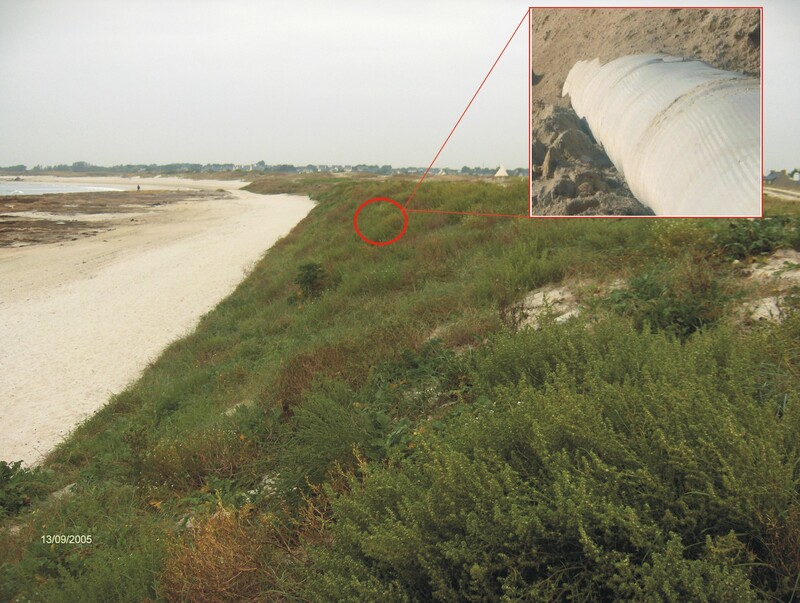 The STABIPLAGE® technology was developed so that the beach can ensure its natural role of protection . Each STABIPLAGE® solution is tailor-made, depending of each site.